Embroidered canvas cosmetic bag. 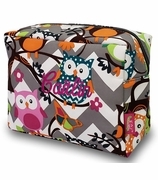 If you are off on a weekend away on pleasure or business, you need a great cosmetic bag to hold all your personal items. 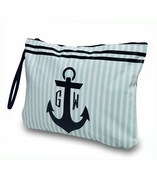 Our lovely canvas cosmetic bag features a delicate anchor pattern of navy blue - natural or white - orange backdrop. The bag is crafted from canvas which is strong and durable. 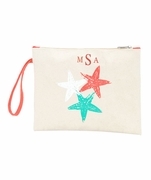 Use it for your cosmetics when you travel and make it extra stylish by adding a matching maritime tote bag. 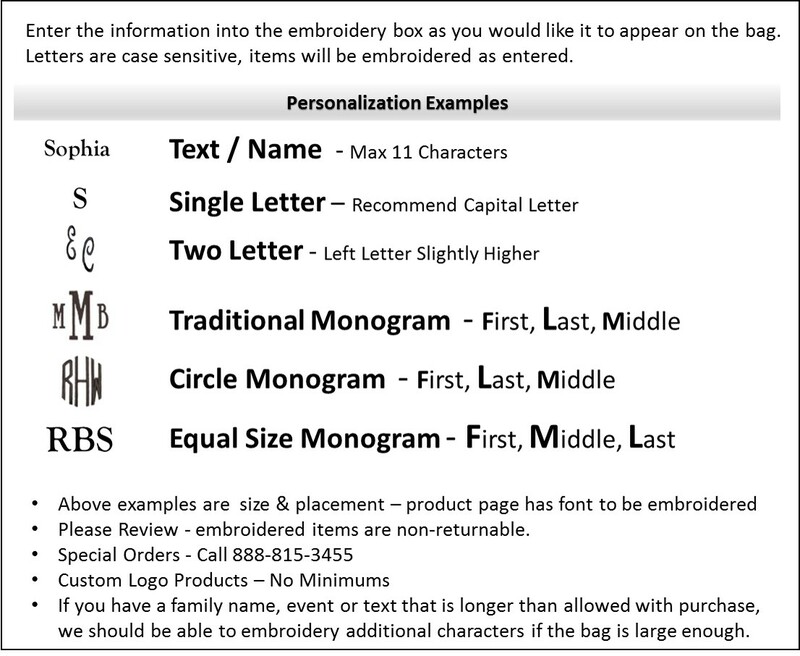 Personalization is always and option from Simply Bags. 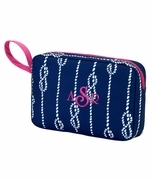 Embroidered anchor pattern cosmetic bags measures 11"W x 6"H with envelope style bottom.